Mark Phillips was born in Billericay Essex, just outside of London, England. He then immigrated to Canada at a young age with his family. At the age of 15 he developed a passion for martial arts, and began training with a dojo in Meadowvale, Ontario. Soon he was introduced to Michael Ham Sensei, of Hams Martial Arts. Mark’s dedication earned him a grading of 3rd Dan by WIKF (Wado International Karate-Do Federation) founder Suzuki Sensei. Just before Suzuki’s death, he passed on his Wado family and WIKF to Jon Wicks Sensei, who awarded Mark his 4th Dan in 2012. Achieving this level is a great honour. Throughout his years of training, Mark has travelled much of the world for both pleasure and education beyond the classroom, helping him gain a broad perspective. Mark also runs a successful business as a Registered Massage Therapist (RMT) on the Hamilton mountain, which brings a unique perspective and sense of balance to his dojo – the dedication of martial arts with great personal care. 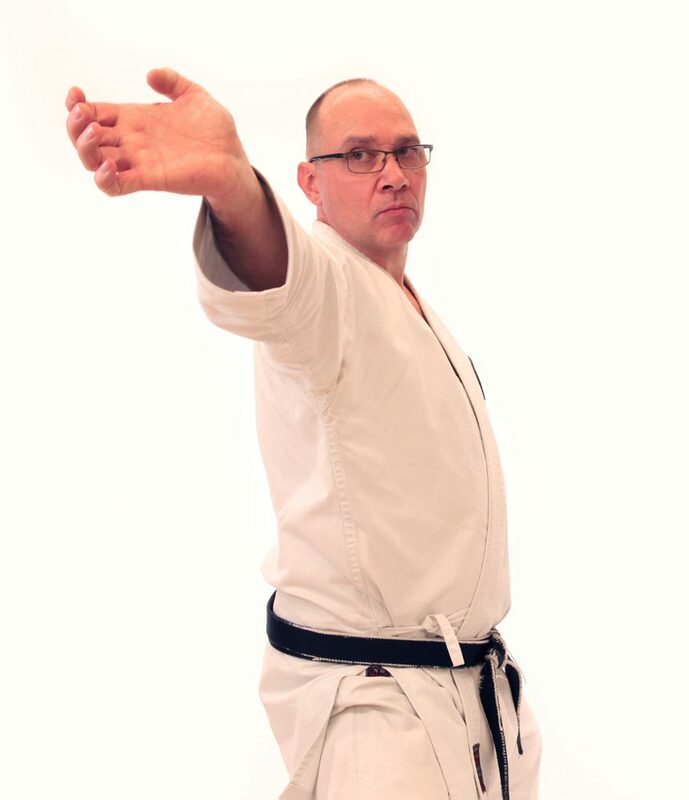 Mark has broadened his expertise by cross training in Seiwa Kai Goju Ryu through Michael Beardwood Sensei and attending seminars with various martial arts masters. This has helped bring Mark even greater understanding to his true Wado Ryu style. Mark continues to study with Michael Ham Sensei and Jon Wicks Sensei because as any great teacher will tell you, learning never stops! With over 33 years of karate study, Mark is able to pass on his knowledge to others through the Crossroads Wado Ryu Karate Club, with strong support of Michael Ham Sensei, Jon Wicks Sensei and his family at his side.